To gain from trade, modern economies rely on a stable financial system. In many countries around the world, the benefits of finance are taken for granted. Financial stability comes to the forefront only in times of crisis. The global financial crisis of 2008 and 2009 exposed some of the regulatory and market failures of a more and more globally organized financial system and led to far-reaching discussions about a broad range of academic and policy issues on the regulation of financial services. Against this background, this edited volume brings outstanding expertise and provides insightful perspectives from nineteen authors with diverse backgrounds, including officials from international organizations, national regulators, and commercial banking, as well as academics in law, economics, political economy, and finance. 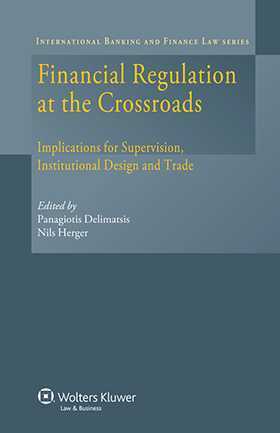 The authors not only shed light on the causes of the financial turmoil, but also present thoughtful proposals that contribute to the future policy debate, and discuss opportunities that financial services can offer in funding activities which raise standards of living through initiatives in microfinance, renewable energy, and food distribution. While the debate about regulatory reform has just begun and will inevitably be characterized by controversies, it will be vital to appreciate the interconnected nature of the financial system. Without effective coordination of regulatory responses to financial crises, tackling the pressing challenge to limit cross-border contagion in times of crisis without jeopardizing the benefits of financial globalization is almost certainly doomed to failure. By enrolling a product in our Standing Order Program, you will automatically receive new editions of and other updates to the product as they become available on a risk-free, 30 day trial basis. Updates are invoiced at the then-current price, along with applicable sales tax and *shipping & handling charges. You have the right to return any update within 30 days of receipt. If you decide to keep the update after the 30 day review period ends, you are responsible for paying the invoice in full. The frequency of Standing Order shipments vary by title based on regulatory developments and publishing schedule. You are never obligated to purchase a minimum number of updates in order to take advantage of our Standing Order program. If you decide, for any reason, that you are no longer interested in the Standing Order program, or you did not intend to enroll, you may cancel any time by calling Customer Service at 800-234-1660 or emailing [email protected]terskluwer.com.